Just added a Giant Toad to the online shop over at Tengu Models. 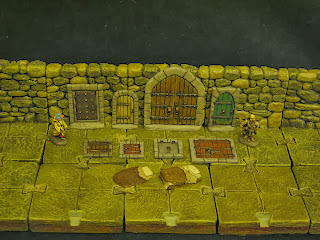 I've had this model for a while now sculpted back in 2007 as part of a cast-your-own dungeon project I was developing. That project never really got off the ground so I thought I'd cast some of the critters up in resin and make them available. I painted this one up as a D&D Ice Toad hence the blue colour. Looking at it now I think I should have painted its underbelly paler for more contrast. 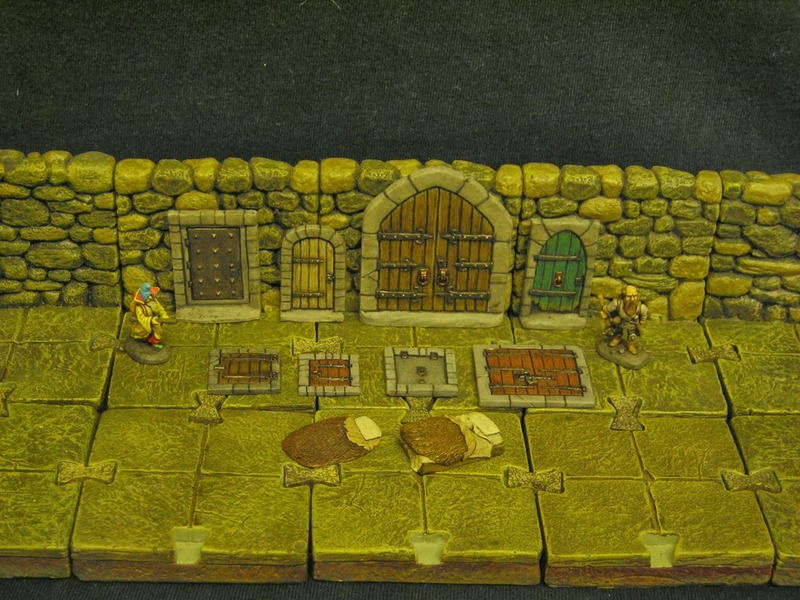 This was one of three I painted the other two being a green colour but those two were ebayed a while back. Here's a scale pic with an old foundry figure a friend used as a Druid character figure. 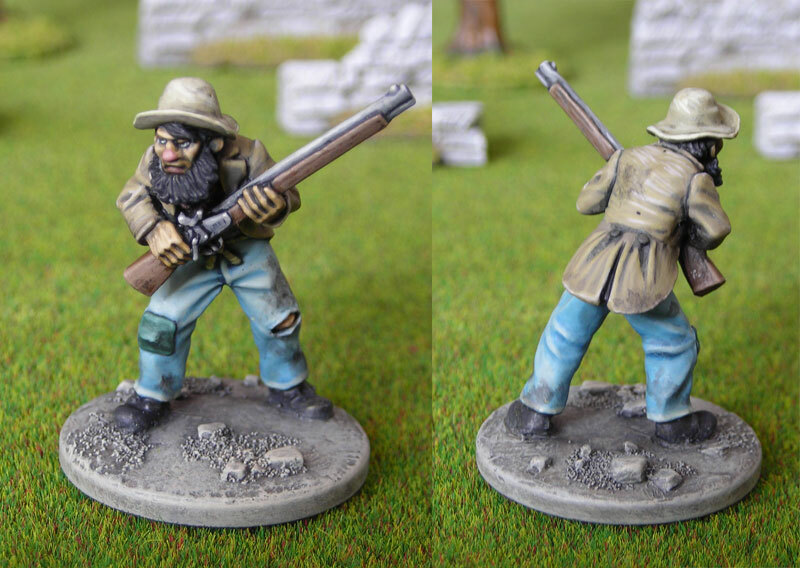 Working on more minis for my 15mm fantasy project. Here's a couple of pics of a Giant Spider from Megaminis. Nice big sculpt, one of those really useful figures that works any scale and lots of genres. The picture on the last post was terrible, can't seem to take any decent pics! Tried a different approach with some floor tiles as a background. Worked a lot better than the white background of the previous pic. 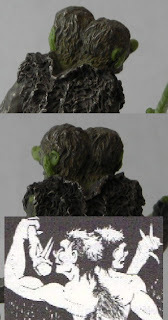 Here's the paint job I did on the Ettin conversion. Skin ended up more green than I planned but pretty happy with the colour, a mix of vallejo charred brown and scury green. That damn'd scale creep means alot of the old pre-slotta 28's are too small by todays standards. 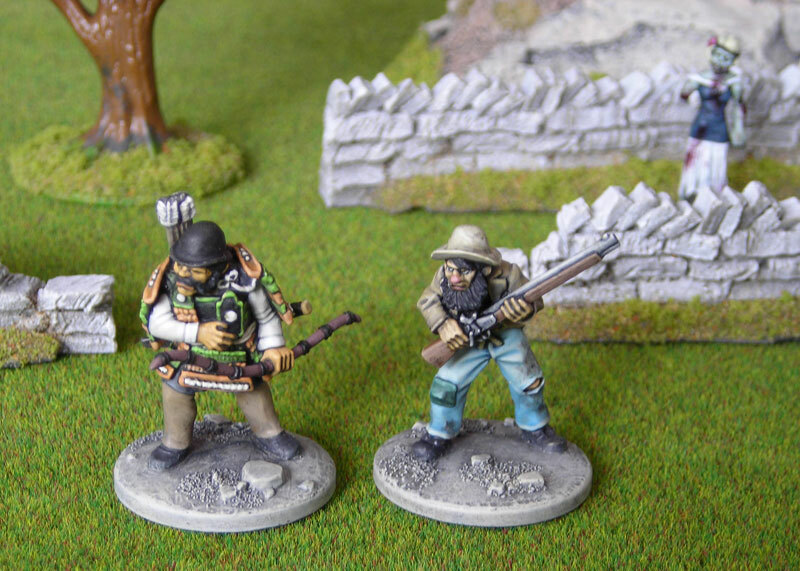 This superb old Ral Partha 28mm two-headed ogre measures in around 32mm's to the eyes. Wouldn't be hard to find a standard human figure this size these days! Still this will be perfect for an ad&d Ettin in 15mm scale. The monster manual had these at 13' and over so the figure is perfect size wise. It looks great along side a 15mm character figure! The right hand originally had no weapon so I added a spear which I'll paint up as a crude, rusted iron javelin. This was just a case of drilling through the clenched fist and gluing some brass rod in place which was given a rough texture with some green stuff. The faces were really nice on the model, was a bit reluctant to change them but I wanted to give him a proper 1st ed look. The monster manual describes how these look alot like orcs and those being the pig-faced variety I added some large piggy snouts to the heads. I'm planning on painting this the same colour as the description of orcs so it'll have dark greeny brown skin with the snoutsand ears being a "pinkish". Going to be funny looking but hopfully will have the feel of the illustration from the old MM. Some pics of my two man Threshold team for Strange Aeons. I thought it would be cool to have a character with a Long Bow from the weapons list in Shocking Tales #1 and from this developed the character Nagaski Jones. Dr Jones is a converted Black Hat samurai and Mr Boone is a Copplestone Hillybilly. 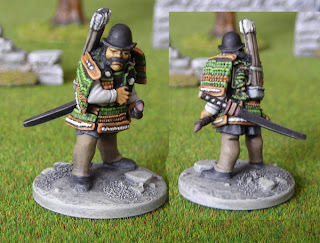 Eccentric Professor of Archeology and Folklore, dedicated practitioner of both Kendo and Kyudo, Dr Jones never enters the field without his antique samurai armour, katana and bow. Appalachian mountain man Clem was a loner who came to the attention of the Threshold when a local newspaper reported a story about Clems bizarre ravings about "flying space crabs" which he said had been harrassing him for months during the winter of 1929. Clem is currently the only member of Threshold to have actual first hand knowledge of the mysterious alien race Mi-go. Equipment: Bolt action rifle, Hollow point bullets, Wood axe (meat cleaver).